Find out everything you need to know about mixing, applying, and storing epoxy finish. From tips on epoxy mixing and application to talking about drying time and the most helpful tools, this episode tackles it all! 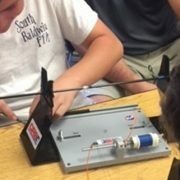 Want More Great Rod Building Resources? Check out the Mud Hole Blog and YouTube Channel! Learn more about the most popular rod drying systems from CRB and the benefits behind the design of each model. If you are in the market for a rod drying system or even eyeing an upgrade, then you probably know there are many options out there. Sometimes all these rod dryer options can make your head spin, but don’t worry… we are here to help! Whether you build rods for business or pleasure, a quality rod drying system can make all the difference with your finished rods. This blog has all the details to tell you what rod dryer will benefit your building most. 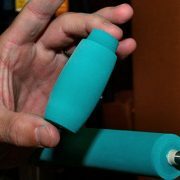 When fishing is always on your mind and you want to make the most of your time on the water, get the grips to help you do it. Build the best handle available with custom grip selections offered in streamlined kits so you’re ready to fish any freshwater, anytime. 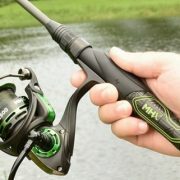 Building your handle with the performance to help land fish and the comfort to keep you on the water, ensures you are ready to handle anything willing to bite. Whether you are a classic cork angler or looking for the leading edge material like carbon fiber, design your own custom grips for real results on the water. 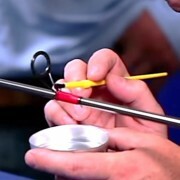 Check out these useful tools to boost your rod builds for incredible custom fishing rods. 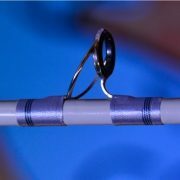 Whether you’re looking to boost your rod building system or improve your finished fishing rods, these are some great tools to get it done. The CRB Rod Building System revolutionized the craft of custom rod building by making it more affordable and user-friendly than ever. More importantly, it gives all rod builders a durable and dependable system that grows with your skills and tastes in rod building. 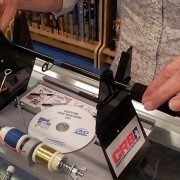 It’s simple, choose the tools built for you and build better rods with CRB.